Home / Pupil has artwork exhibited! 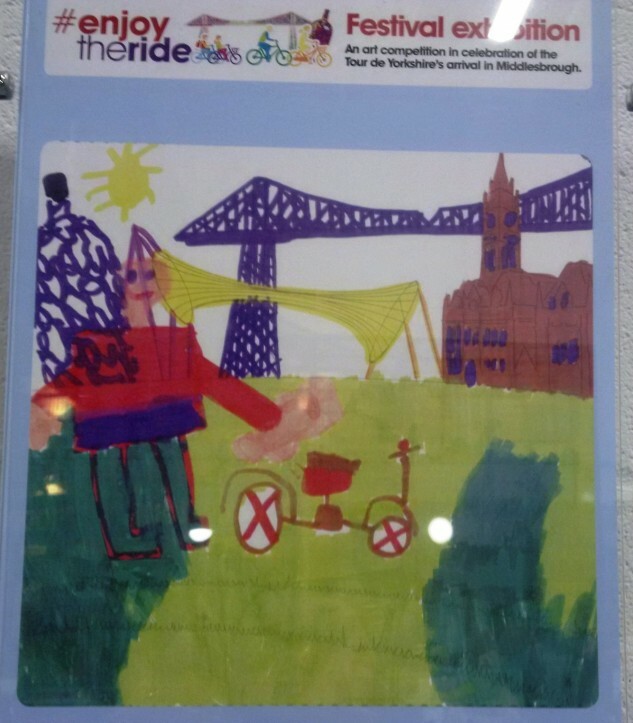 One of our Saltburn Primary pupils, Theo Hallam, has had his beautiful artwork exhibited at Middlesbrough Sports Village on 22 April 2016 as part of the Tour De Yorkshire going through Middlesbrough. The Mayor of Middlesbrough, Dave Budd, attended and said a few words before looking at the pictures and having some photos taken with the children for local media. We are very proud of Theo’s achievement, with his parents saying that he thoroughly enjoys learning and creating. Theo’s artwork will remain on show until the end of Summer.